Montana is an extremely rich gold-bearing state in the U.S.
And there is still TONS of gold out waiting to be discovered here. Our new 35-page eBook helps you learn where to find it! 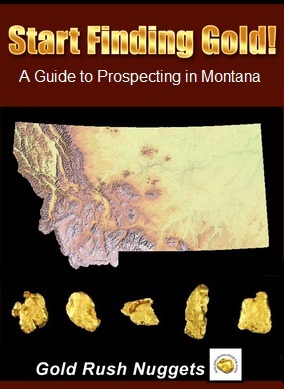 Plus, 10+ pages of links to Montana mining resources! 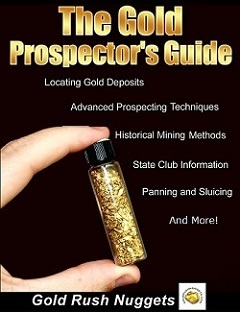 This eBook is a great resource for any Montana gold prospector. Many of the areas mentioned here still hold great potential for a prospector willing to put in the time and effort needed to find undiscovered gold deposits! Despite its rich history for gold, Montana gets much less attention than many other states, meaning that there are still lots of undiscovered areas that you can find gold now! Montan is a large state with lots of public lands and plenty of areas that are open to prospecting. Many mining districts are also extremely remote and located in the rugged mountains near the Continental Divide, and they have not been prospected nearly as hard as many other areas in the U.S.
Learning about these areas that have produced gold in the past is the best way to find locations that you can still find it today! The old-timers didn't get it all! 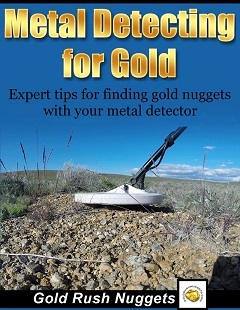 Are you serious about finding gold in Montana? Start Finding Gold! - A Guide to Prospecting in Montana - 35-page eBook about where to finding gold in Montana.